Joe Carley is the director for economic development within the Indiana University Office of the Vice President for Engagement. 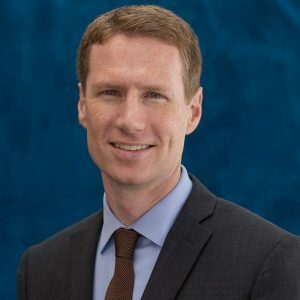 In this role, he aims to promote economic development by connecting the resources of Indiana University to industry, government, and economic and workforce development organizations throughout the state. He is particularly focused on advancing research collaborations in strategic industry sectors, supporting important state initiatives, and promoting entrepreneurship and innovation. Carley has long been interested in ways in which the public sector can catalyze regional economic development. As a planner for the city and county of Durham, North Carolina, he helped modernize the Durham Comprehensive Plan and Unified Development Ordinance and carried out projects to promote downtown and transit station area development. These projects have helped spark a development boom in Durham that has brought a procession of accolades for quality of life and economic development from national publications. Prior to his work in Durham, Carley spent two years with the city of Madison, Wisconsin, Department of Planning and Community and Economic Development. There he worked to modernize the city’s zoning code and served as lead author of a guide to participating in the development review process, with significant community involvement. The guide won an award for Best Planning Tool from the Wisconsin chapter of the American Planning Association. He has also contributed research on the effectiveness of local economic development investments in high tech infrastructure to the book Cities in the Technology Economy. While in law school at IU, he clerked with the city of Bloomington’s legal department, where he advised the city on issues pertaining to zoning, community development, and public works. He also served as a contractor for Indy Rezone, a comprehensive effort to rewrite the Indianapolis zoning code. Carley holds a B.A. in public administration from Saint Mary’s University of Minnesota, an M.S. in Urban and Regional Planning from the University of Wisconsin-Madison with a focus on economic planning, and a J.D. from IU Maurer School of Law. Carley serves on the awards committee of the University Economic Development Association and on the young professionals committee of the Indiana Economic Development Association.